Raging Bull, one of our favorite USA friendly online casinos celebrates the launch of a new slot with special promo. This time the players are offered a 350%! match bonus plus 50 free spins on new RTG slot, Super 6. To redeem the bonus, all you need to do is login to your Raging Bull casino account and redeem coupon code: SUPER6. If you have never played at Raging Bull, we have even a better offer for you. You can sign up using the link below and get a special $50 No Deposit bonus. It doesn’t mean that you can’t use the SUPER6 bonus later on, but you have to start with the 50NDB , cause that’s offer is valid only to new players. 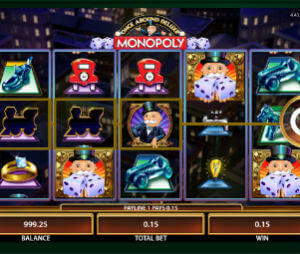 If you been following RTG recent releases it won’t surprise you that Super 6 is a six reel slot machine. That’s actually the third game of that type they release in the past 6 months. 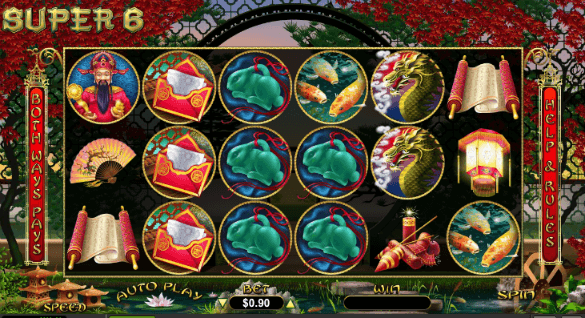 It started with Irish themed Lucky 6 and followed by The Big Bopper slot. The slot offer quite similar features, but personally I like this burst of creativity from RTG, after them being stuck on classic 5 reel video slots for about a decade :-). You can play Super 6 by downloading Raging Bull software are just using the instant play (in-browser) mode. The game is also available on all mobile devices: iphone, ipad, android, windows phone, etc.